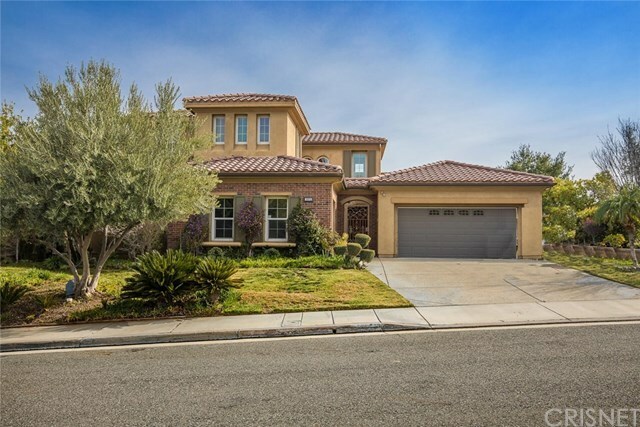 26924 Pebble Ridge Place, Valencia, CA.| MLS# SR19033448 | Southern California Homes for Sale. Search properties Southern California. PRICE SLASHED AGAIN! NOW UNDER 1 MILLION DOLLARS! Awesome floor plan on this Emerald home located in beautiful Westridge! Over 3,500 square feet of living space featuring 5 bedrooms, and 3.5 baths. There is a downstairs master bedroom, and two additional bedrooms, upstairs has a loft and two other bedrooms. This home has extra privacy compared to others, it sits next to an open garden area on Pebble Ridge Drive and a great view of the golf course. There is a 3 car split garage and upgraded hardscape in rear yard. Walk to Oak Hills Elementary School! Cul de sac street with no homes directly across the street! Resort style amenities include community pool, spa, tennis, clubhouse and more! No Mello Roos. Low HOA dues. Property SOLD Strictly AS-IS.